A rabidly anti-Trump FBI agent who was fired from Robert Mueller’s Special Counsel investigation relied on claims made in a largely unsubstantiated and highly salacious dossier provided by Washington DC-based opposition research firm, Fusion GPS – which enlisted former MI6 agent Christopher Steele to assemble the 34-page ‘Dirty Dossier’ in mid-2016. Veteran FBI agent Peter Strzok – who headed up the Hillary Clinton email investigation, was dismissed from Mueller’s Trump-Russia probe in mid-August and relegated to the FBI’s Human Resources department, after the DOJ opened an inquiry into anti-Trump / pro-Clinton text messages Strzok sent to his Trump-hating mistress – FBI lawyer Lisa Page, while the two were working together on the Clinton probe. Page was also fired from the Mueller investigation into Russian meddling earlier this year. Strzok’s conduct in the Clinton investigation is now under review by the Justice Department, along with his role in a number of other politically sensitive cases, according to Fox News. 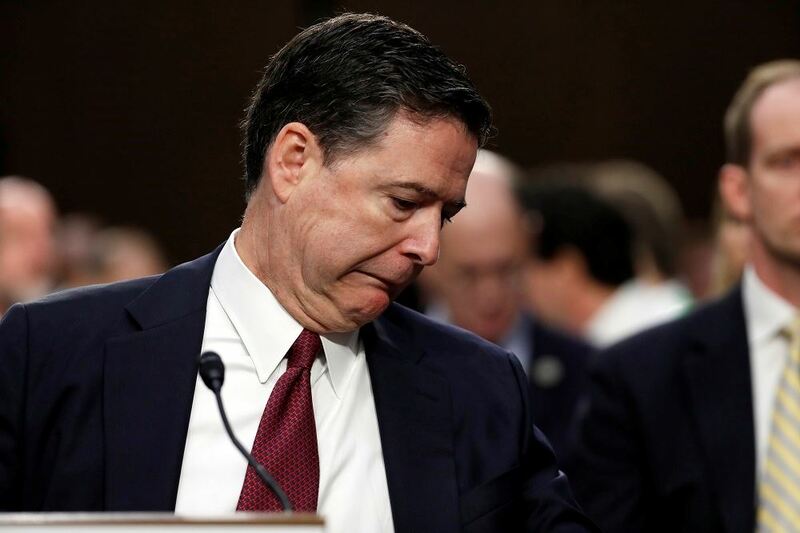 Of relevance – Strzok concluded that Hillary Clinton was “careless,” in her mishandling of classified information, yet found “no proof of intent,” an opinion which former FBI director James Comey based his recommendation not to prosecute. Comey, as it turns out, drafted Clinton’s exoneration letter long before the FBI had finished reviewing evidence in the case. In August, 2016 – nine months before Trump fired Comey which led to the creation of Robert Mueller’s Special Counsel, the New York Times reported that Strzok was hand picked by FBI brass to supervise an investigation into allegations of Trump-Russia collusion. Weeks before the 2016 Presidential election, Strzok’s team agreed to pay former MI6 agent and Fusion GPS operative Christopher Steele $50,000 if he could verify his claims that the agency had already used to take action. Of note, Fusion separately paid Steele $168,000 to assemble the dossier which had the cooperation of two senior Kremlin officials. After meeting with the FBI in October to deliver a ‘stack of new intelligence reports,’ the agency ultimately decided not to pay Steele because he could not corroborate the information he had provided. Despite such a low level of confidence in Steele’s dossier that they didn’t pay him, the FBI used the document to obtain a FISA surveillance warrant on one-time Trump foreign-policy advisor Carter Page – who was described as having a “secret meeting” with Putin associate Igor Sechin and Deputy Chief for International Policy, Igor Diveykin during a July 2016 trip to Moscow to deliver a commencement speech. 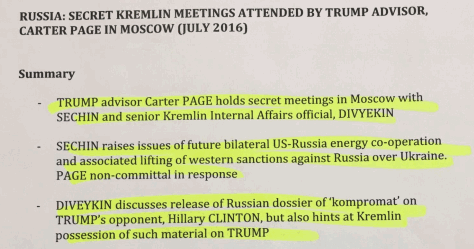 While Page did travel to Moscow to deliver a commencement speech, he told the House Intelligence Committee that he’s never heard of Diveykin nor met with any of the men mentioned in the dossier. Page claims he hadn’t spoken more than a few words to Dvorkovich, and had instead gained insight into the Russian’s opinion from listening to the Russian’s speeches. We now know that the original, pre-Mueller FBI investigation into Trump-Russia collusion was spearheaded by Peter Strzok – an anti-Trump senior FBI agent who was fired for sending anti-Trump / pro-Clinton text messages to his mistress during their investigation into Hillary Clinton’s mishandling of classified information. This raises a multitude of questions about Strzok, the Clinton email investigation, and any other politically charged cases he’s worked on – which are now under review by the DOJ’s Office of Personnel Management. And while Strzok is stapling cover sheets on TPS reports in the FBI’s HR department, it is of particular interest that House Intelligence Committee Chairman Devin Nunes is also honing in on Rod Rosenstein and the new FBI director, Christopher Wray for their roles in the decision to withhold the reasons for Strzok’s dismissal in August.